Today on my desk I have the Gigabyte GA-Z97M-DS3H. 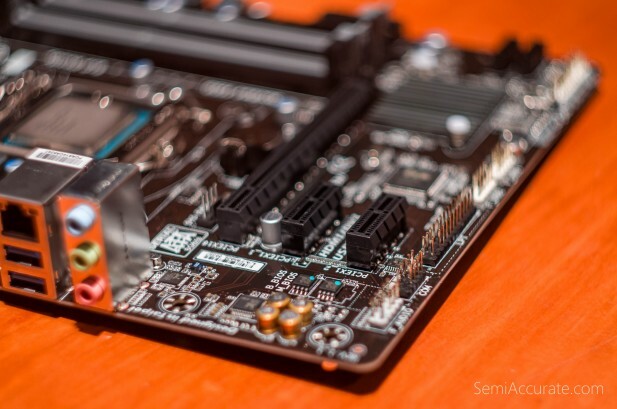 This motherboard sits at the intersection of the low-cost and small size variables on Intel’s aging but still relevant Z97 platform. For a mere $90 you get a Micro ATX motherboard with Intel’s top-end Z97 chipset and basically nothing else. There are no overly complicated 69 phase power delivery systems on this motherboard. No massive or gaudy heatsinks to cool the VRMs and southbridge. No LED debugging readouts. No power and reset buttons. No audio amplifiers or flashing lights. And no Crossfire or SLI support. 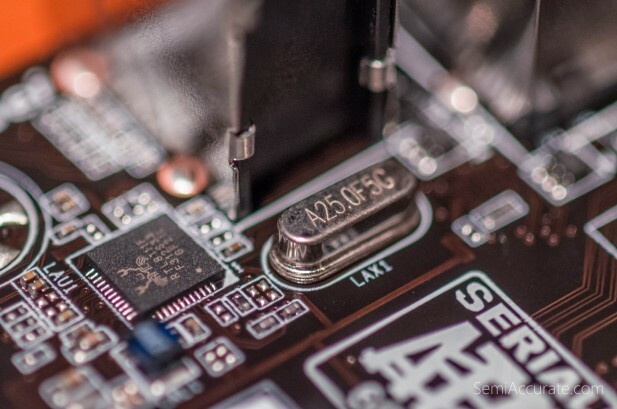 This is a motherboard that keeps the formula simple. One x16 PCI-E slot. Two PCI-E x1 slots. Two USB 2.0 connectors. One PS/2 port for those that still haven’t converted to USB-based peripherals. One VGA port with a single-link DVI port to support it and an HDMI out to top the whole thing off. Then we come to the four USB 3.0 ports. A number that pales in comparison to what you’ll find on two and three hundred dollar motherboards but that would make an iPad Pro or SurfaceBook owner cry tears of joy. We also have a tried and true RJ-45 port backed up by a Gigabit NIC and the same 1/8″ audio in and out ports we’ve had since the mid 90’s. 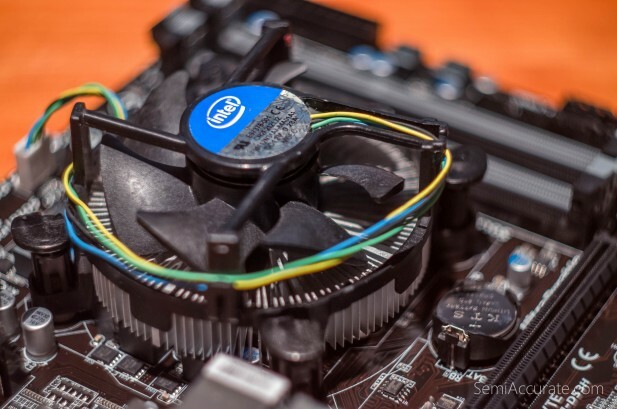 One item worth applauding on the GA-Z97M-DS3H is its classy yet low profile South Bridge heatsink. Unobtrusive in almost every way this heatsink is great at doing what South Bridge heatsink should do best: disappear under a giant graphics card. 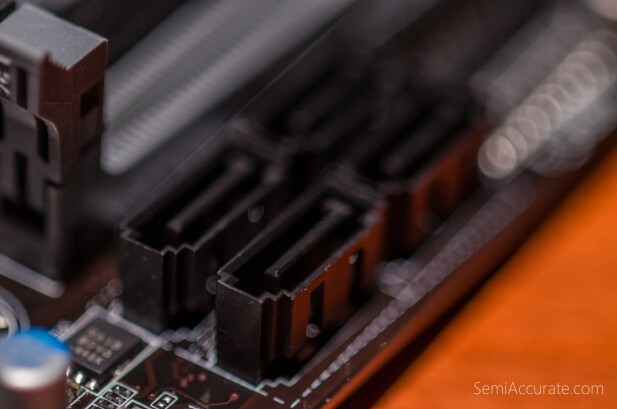 Unlike a lot of low-cost motherboards the GA-Z97M-DS3H offers four memory slots and uses the only sane slot configuration where the first two DIMMs for memory population are both as far away from the CPU socket as possible but also separated by a whole DIMM slot. 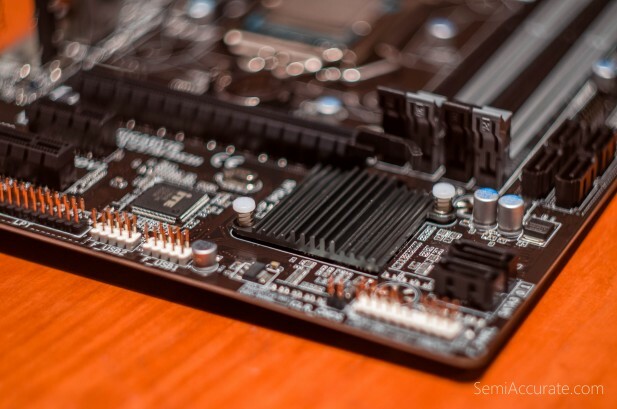 There’s plenty of room around the CPU socket despite the diminutive size of this motherboard. It’s fits Intel’s stock cooler perfectly and should be a willing receptacle for all but the most monstrous aftermarket coolers. 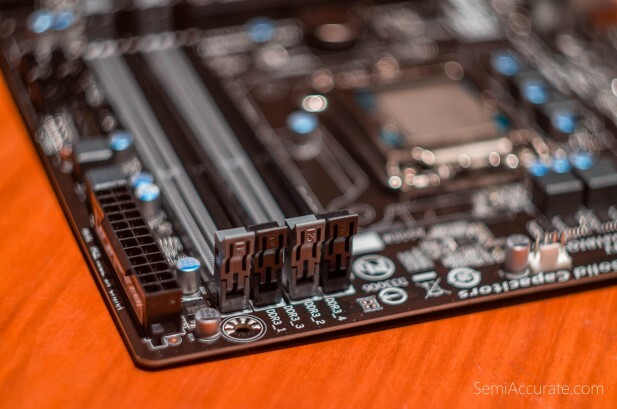 Because this motherboard uses the Z97 chipset its perfect for any Intel Core ix-4xxx series chips. 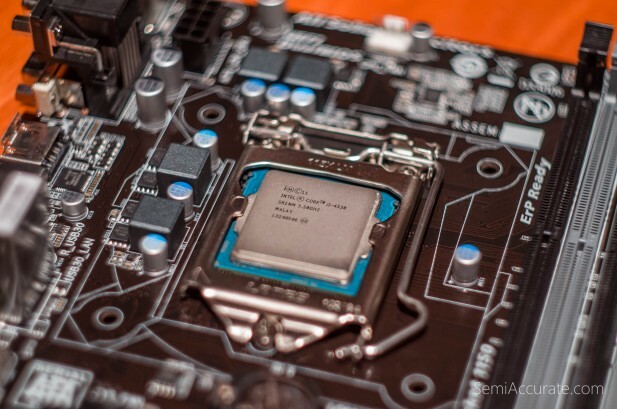 In our case a rather lowly Core i3-4330 that we’ll be using to replace a Phenom II X4 965 in a gaming rig. The memory DIMMS, SATA ports and PCI-E x16 slot all converge just off from the center of the GA-Z97M-DS3H. But even when there’s a graphics card, CPU cooler, memory DIMMs, and SATA cables there’s still plenty of clearance between all of those items. 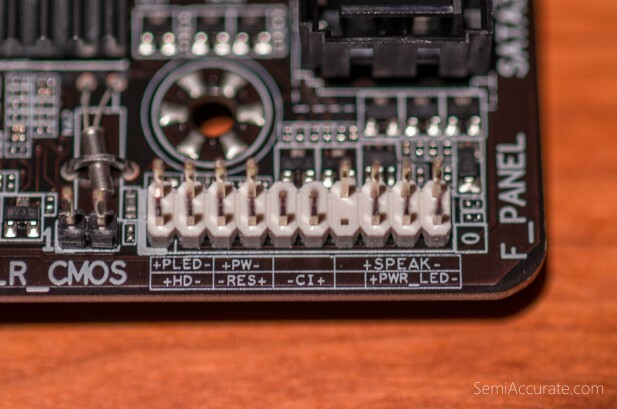 In a rather curious move Gigabyte has endowed the GA-Z97M-DS3H with English like technical markings that describe the purpose of the front panel header pins on the motherboard’s bottom right corner. 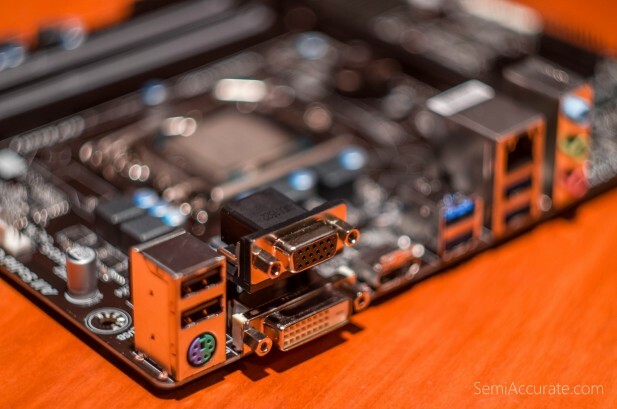 There are six SATA III ports on the GA-Z97M-DS3H. Two are located below the graphic card just above the front panel headers on the bottom left corner of the motherboard. The other four ports are here, just to the right of the memory DIMMs. The Realtek RTL8111F NIC endows the GA-Z97M-DS3H with its Gigabit Ethernet abilities. This is a solid if unremarkable NIC. Gigabyte doubles down on its Realtek addiction by tapping the ALC887 for audio duties on this motherboard. With 2008 release date the ALC887 is an older chip by should be plenty for basic audio output duties that the GA-Z97M-DS3H will handle. 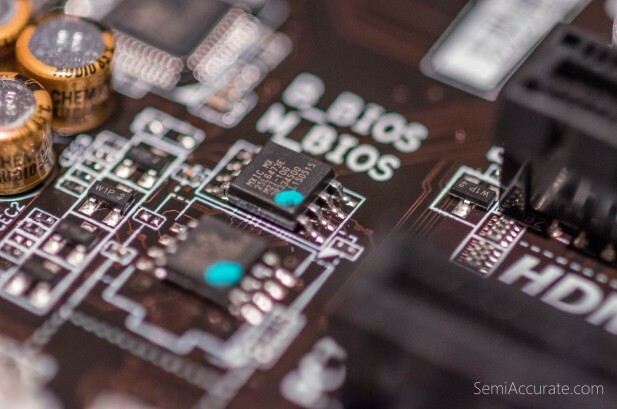 Here we find both BIOS chips of Gigabyte’s signature dual BIOS feature. While this kind of a configuration makes sense on this motherboard. It would be nice if there was more physical space between the BIOS chips. You know, if I accidentally drop a rock on that spot, it would be a real shame to lose both chips in one shot. 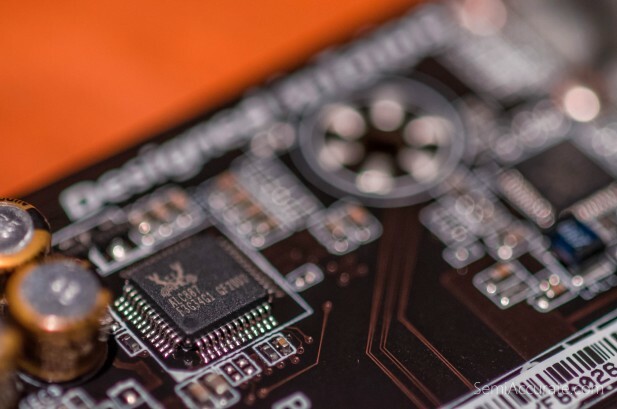 With everything plugged in and chugging away the Gigabyte GA-Z97M-DS3H does exactly what motherboards should do best: fade away into the background. 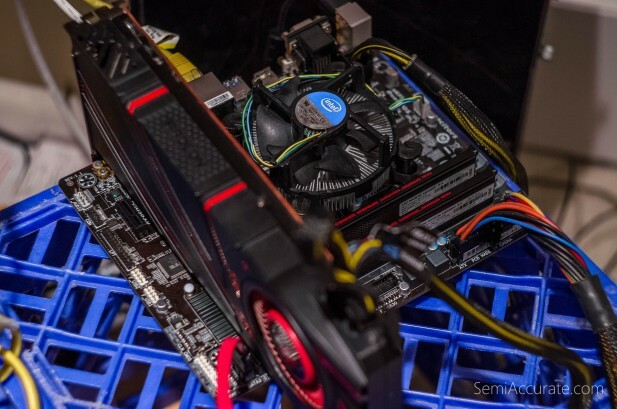 We ran Prime95 for 24 hours straight to confirm the stability of system and the correct drivers for the board were easy enough to dig up on Gigabyte’s support page. Windows 10 booted quickly and seem to work flawlessly on this motherboard. Memory support was up to par and we easily enabled the XMP profiles on our Radeon DDR3 Memory. 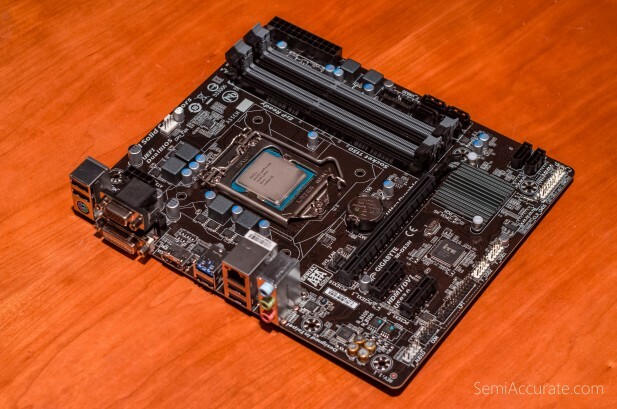 Working with Gigabyte’s GA-Z97M-DS3H was as painless as a painless motherboard install gets. As it stands there’s nothing really special about the about the GA-Z97M-DS3H. And that’s okay. 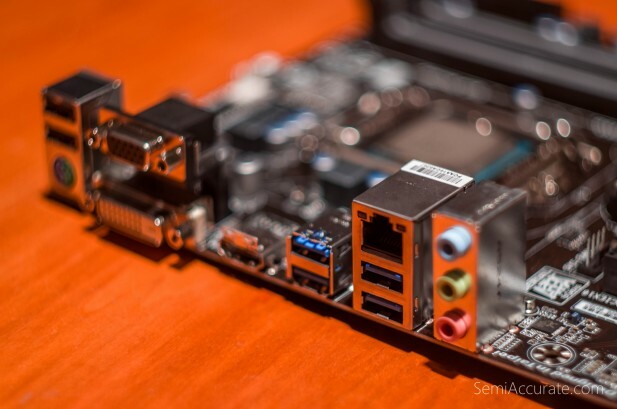 Not all motherboards have to be the Big Bang or a Sabertooth. A good motherboard just needs to work and not cause any problems. Motherboard makers are constantly going on about the special features on each of their different product lines. 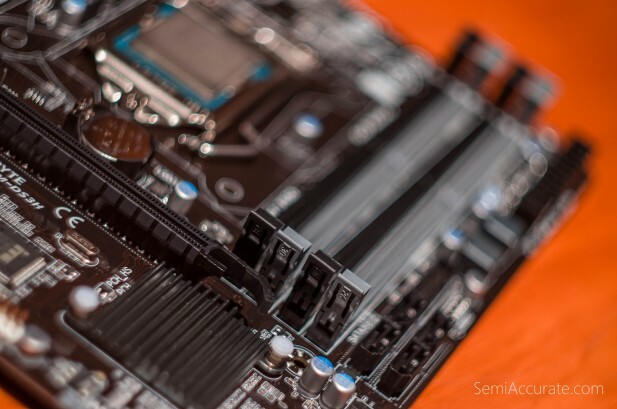 But the biggest reason to buy a Gigabyte motherboard over an MSI, Asrock, or ASUS competitor is its Ultra Durable heritage. Cheap motherboards just need to work and not fry themselves after two years. In that regard Gigabyte’s GA-Z97M-DS3H out performs many more expensive offerings.